“More importantly, I am interested in the story it portrays from an historical viewpoint. It is a lot more accurate than it could have been because, I understand, of the involvement of a historical adviser who knows his stuff and was able to get the makers to tone down the football element so as to include some of the more mundane things that took place - such as the soldiers showing each other photographs. “The role of football in the truce is very much overhyped. There is a common assumption that some sort of big match took place but there is scant evidence of this actually occurring. “Most of the evidence is hearsay or soldiers recounting they were going to have a match but didn’t have a ball or their superiors forbid it. “It is possible that some sort of low-level kick about took place but not much more. “Football has become emblematic of the truce and distracts the attention away from why the truce was important. “The truce was not observed across the whole frontline and for many Christmas 1914 was certainly not peaceful - The Grenadier Guards lost 50 men on Christmas Eve for example. “Some Great War veterans, old soldiers I have spoken to, even refused to believe it had taken place. “The general point seems to be that it was a ghastly pointless war and the truce was some sort of outbreak of humanity. “There is some truth in that sentiment, in terms of the men involved were fighting and living in terrible conditions, but they had no problems getting back in the trenches afterwards and fighting on once the truce was over. “The Christmas 1914 truce was just one of a series of truces throughout the war - it was simply the biggest, most famous and most spectacular. “Truces were almost always very informal and localised to a particular area. There were often good reasons such as to bury the dead or appalling weather conditions. “This truce was very much used to bury the dead and repair defences but the reason the football element seems to have come through is sport is an obvious way of looking at common humanity and football is such a huge part of our culture. “This concentration of football in the popular imagination of the truce is a huge shame because other more typical things are excluded - such as the soldiers’ cutting each other’s hair and showing each other family photographs. “This year the First World War has received huge publicity and from a commercial point of view it is not surprising that firms such as Sainsbury’s are cashing in on the public interest. “This interest is in many ways a double-edged sword - it is great that many people have discovered for the first time or rediscovered the First World War. There has been lots of great work at a local level with exhibitions and the like. “But the downside to that is that a bandwagon has been created leading to myths being restated and gaining popularity such as the supposedly central place football played in the Christmas Truce. “For example, the Belgian Tourist Authority and UEFA are commemorating a football match and putting up a monument at a site where there is no evidence what so ever of a match taking place, creating a whole new myth, despite being told to the contrary. “My fear is that the media hype is such that soon people may start to become bored with it all, especially as there are still four more years of commemorations to take place. “Above all I am frustrated at the lack of context and understanding about the vast number of men who died in 1914-18. “I recently went to see the display of ceramic poppies at the Tower of London and it is a stunning sight but there is no context. “This was not a pointless war. Britain had an enormous threat to its security that it had to tackle. Gary Sheffield is Professor of War Studies at the University of Wolverhampton. 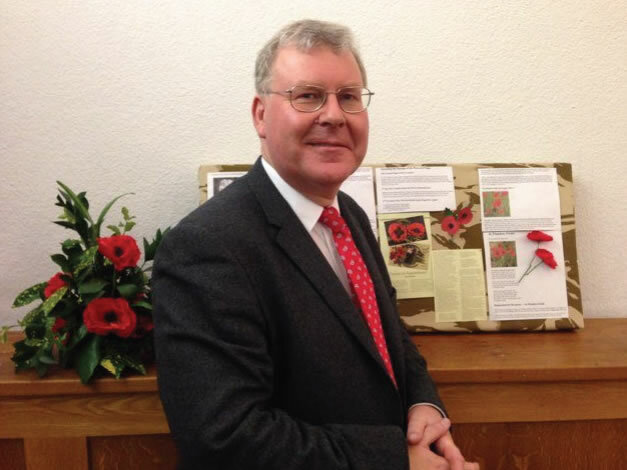 He is an internationally-recognised expert on the First World War, especially the role of the British army. His research interests are, broadly, Britain in the age of total war, 1914 to 1945, and military history, especially land warfare, since Napoleon.